Just like any other technique that we use on guitar, pinch harmonics require a great deal of finesse and muscle memory - especially when it comes to the controlled kind. So in this lesson I'm going to show how you can use a metronome to work on all this. I hope you've had fun with these examples. Pinch harmonics can be anything from that exotic sound you throw in once in a while, to being a consistent and signature element in your sound. That's just a matter of taste! But before you can make that decision for yourself you need to really get in there and work up the technique, otherwise you won't know what it can really do for you. 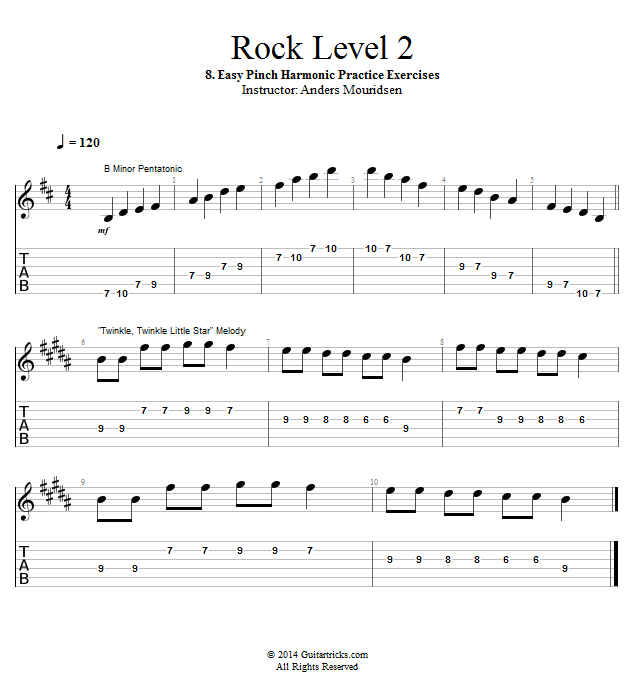 So use the licks and the exercises from this tutorial and see where it all takes you. Have fun with it!